Call for Artists, Makers and Venus to Apply to North Devon Art Trek. If you practice your art in North Devon, Torridge or West Exmoor, Apply Now to take part in NDArt Trek. You will need to use our online application form. An online form can be intimidating but we have a detailed Checklist to help you prepare your information to fill in the form. Please read the checklist before contining to the form. If you have any queries or don’t have a suitable venue please Contact us and we may be able to put you in touch with someone who is able to share. Can’t use the online Form? Please Contact the webmaster who is ready and willing to give you a hand. You will need copy for the website and brochure as well as three images for the website, one of which will be used in the brochure. If you have difficulty editing your images please don’t worry. We will do it for you. The Picture above is a selection of images of works by artists who joined early and already have their web pages live. 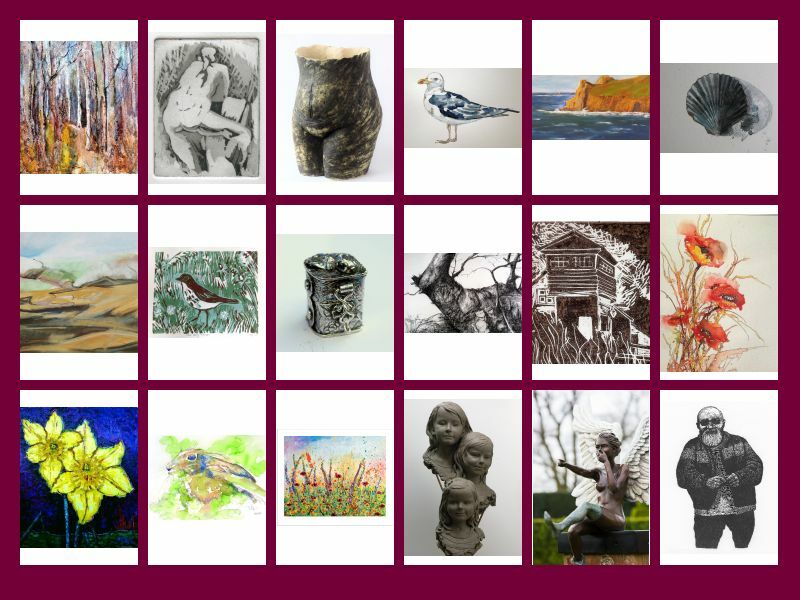 Why not have a look at their pages in the 2016 gallery ? All these links will open in a new tab or window so that you don’t lose this page. Thank you for reading this and NDArt Trek looks forward to welcoming you. Did you find this useful? Let us know your thoughts in the comments below.